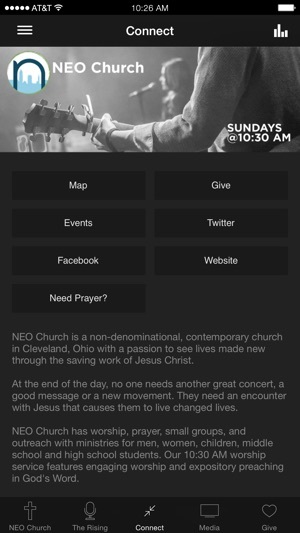 The official NEO Church App connects you to sermons, music and events from NEO Church, a Christian, non-denominational church based in Northeast Ohio. 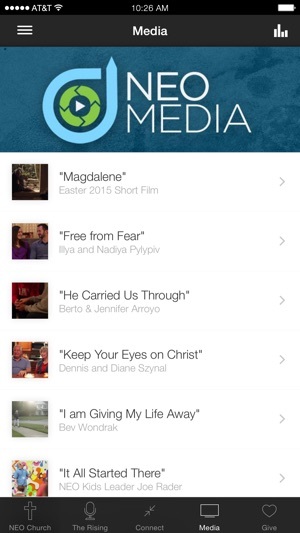 The NEO On The Go app was developed with the Subsplash App Platform. 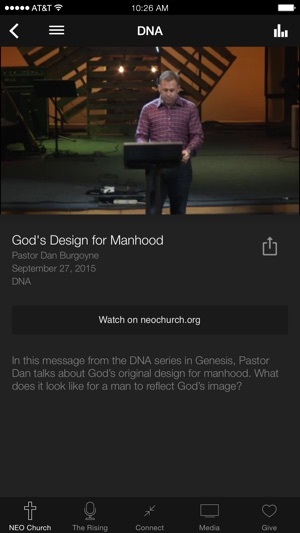 Pastor Dan Burgoyne is amazing. 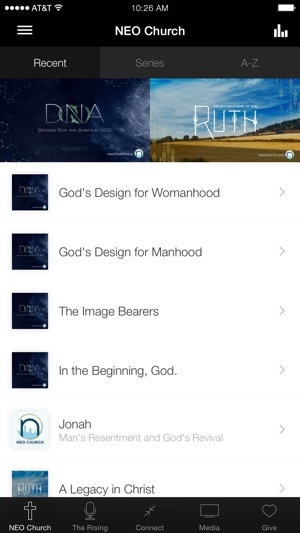 Always challenged and encouraged by his sermons. Blessed to benefit from what God is doing through him! Works great, easy to use!